When we earned our first $50 online, it felt like we won the lottery. Now, we make over $10,000/month with our side hustle and we want you to achieve the same success. If you want to make extra money, we have an amazing list of 50+ side hustle ideas guaranteed to make you fast money. I’m sure you’ll be able to find a few to implement into your daily life and make an extraordinary change in your quality of life. Some of these side jobs don’t require much effort at all! But, first, I have to go over exactly what a side hustle is. How do I Start a Side Hustle? A side hustle is a term everyone should know and be pursuing if you have dreams of financial freedom. As a couple, we have always had a side hustle on top of our full-time jobs. Side hustles are a way to fulfill a passion, work on a hobby or bring in extra cash by helping others. We even used our side hustle to pay off our student loan debt! True wealth and freedom come from having multiple sources of income and sides hustles are perfect for this! Of course, there are moving parts as you start, but the process could not be easier. I intentionally included side jobs I thought you could incorporate into your daily life. 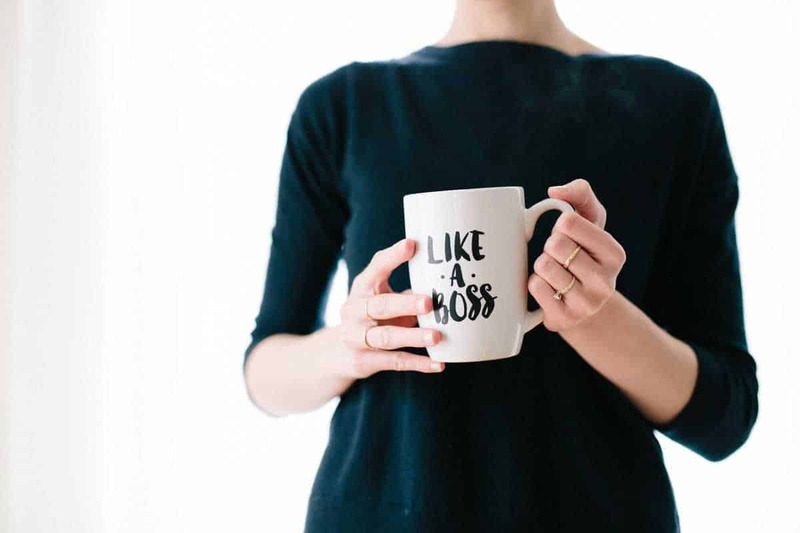 Whether you’re a single mom, a student in college, or a new father like Kelan, these ways to make extra money can change your life for the better. As a mom, it can be challenging to find enough time in the day to help provide for your family financially. Fortunately, one of our great friends Sarah Titus figured out exactly how to provide for her family with limited time. Even as a single mother! After her husband divorced her, she was left practically homeless with her kids and desperately needed a way to provide for them. She was able to provide for them through her successful Shoypify store, which now makes over $2.8 million dollars per year. While having that much money would be life-changing, even just a few extra dollars are helpful. For stay at home moms looking to make money online, we recommend the following side gigs. When I was in college, I started taking surveys online to earn any extra cash that I could. Even though I didn’t end up making a lot of money taking them I found it to be fun. As my family’s main shopper, many of the surveys I took were geared toward to the purchases that I made at the grocery store. I also have a history of watching a lot of TV. Many who know me, know this secret of mine. However, it came in handy because I took a lot of surveys on the shows as well. The best part about taking surveys was getting free products to try out before they entered stores and I offered my feedback. Check out our complete review of 20+ survey sites that can make you extra income today. This is a passive side hustle you can 100% start today. Are you the kind of person who always notices typos? Doesn’t it frustrate you so much that people can’t even be bothered to spell words correctly? If so, then you should become a proofreader. Caitlin Pyle made over $40,000 as a proofreader working the hours that she wanted and now, she teaches you how to do the same, whether you want to proofread general stuff or legal transcripts (her specialty). If you’re the person who notices a typo on this post, then you’re a perfect candidate! Sign up for the FREE webinar on starting your proofreading side hustle! This is a rather new feature on Facebook, but you can now sell things directly to your Facebook friends, or even in specific groups. Facebook Marketplace is a great platform for garage sales, but online! Making money on Facebook couldn’t be easier. Did you know that there are companies who will pay you to shop for others? Companies like Instacart will hire you to go into stores and shop for others. It’s that simple, it’s legitimate, and they pay you for your time. If you’re already in the grocery store, why not? While the kids are at school, there’s no reason to not drive for a company like Lyft or Uber. You get to choose your hours and it’s completely flexible. If you can drive a car, this is a good side hustle to make extra money. Who knows, you might even meet a famous person in the back seat! When Kelan decided he wanted to pursue our blog full-time, he also taught English for kids in China through VIPKID to make extra money. They accept a lot of teachers and you don’t even have to have a background in it. Most students range in age from 3-12 years old with a variety of English speaking ability. The pay varies from $14-$22 per hour depending on experience, education, performance, and monthly incentives. You can check out our full review of VIPKID or just sign up here. If you have any musical talents, share them! You can work with a music store to provide lessons, or do it personally with students in the comfort of your own home. You can advertise your music lessons on social media or advertise in the local paper to get started. If you have a LinkedIn account and have good grammar, you’ve probably come across some people looking for jobs that don’t have great resumes. This doesn’t even require a certification to get started. With some simple grammar and formatting, you can make fast money. If you live in a big production city like Los Angeles or New York, they cast extras for movies nearly every day. For a few hours of your time, you can get compensated well. Keep an eye out for any notices on social media. Or, just get paid to watch movies online! If you have long locks and want to cut your hair, consider selling it. You can sell it on a site like HairSellOn and make a few extra bucks. While the kids are at school, there’s no excuse to not utilize that time. If you can clean one house in an hour, that’s around 6 houses you can clean in that time. At $75 per house, that’s $450 a day. Start marketing this to your friends and see who wants a cleaner house. This is a great weekend job idea, as well. When people go on vacation, sometimes, they want someone to stay in the house to prevent robberies. You can be that person (and still do another side hustle in the house at the same time). Sites like Care and HouseSitter can help you get started. If you enjoy driving and don’t have any violations on record, you might make a great instructor. See if any of the local companies are hiring. This is a side hustle that you can do while the kids are at extracurricular activities or on the weekends. I had two side hustles through college and started her career as a teacher. One of the side hustles was an Avon Independent Sales Representative. I was an Avon Rep. for nine years and through this hustle, I was not only able to get beauty products for free but supply myself with coffee money every week. The coffee money motivated me to write 5 easy ways to save money on a monthly basis. Here are other side hustles that you can start today for a small investment that could truly pay off. If you live in a tourist city or a vacation hotspot and know all the history about your town, you can guide others around. You can talk to the local tourism board and see if they need help. You can do this during the day while the sun is still shining. All those items you have cluttering up your house might work well in your neighbor’s house. Host a garage sale with some of your neighbors once a month and invite the rest of the neighborhood. Your trash might be someone else’s treasure. As a college student (I remember the days), having extra money was fantastic! It doesn’t even have to be that much. Even just having a few extra dollars means that you can go out with your friends on the weekend. Making money as a college student is an amazing feeling. One of our friends makes $30,000 as a part-time VA while in college. This mini list of side hustles was chosen because they don’t require you to spend anything to start! You know, man’s best friend? Turns out they need to be walked and you can get paid to do it. You can sign up for Rover today and get started! In your college town, there might be professors with toddlers or young parents in the neighborhood. Either way, if they need a babysitter, you can do that while getting some of your schoolwork done. Rates for being a babysitter tend to be between $10 and $15. Once you’re done with your textbooks for the semester, there’s no need to keep them (unless you really want to). You can sell them to other students or even sell them online. Sure, you won’t get as much for them as you paid, but this can be a side business for students if you have a network of students looking for discounted textbooks. Did you know that you can make money simply by selling your class notes? Suddenly, studying from them isn’t their only purpose. You can sign up for FREE on Studocu to get started and make a few extra bucks on those notes you no longer need. If you are particularly knowledgeable in a topic others need help in, congratulations! You’ve got a business. Create a quick flyer and hang it around your campus. Whatever subject you tutor, there are bound to be people who need help. It won’t make you a millionaire, but it can help pay for your textbooks, which you can then sell. If you’re a gym buff, you can definitely charge students to get their physique in check. Just like tutoring, a few clients can help get your business off the ground and you making money. This is one of those weekend job ideas that can help you pay for rent and other expenses. Did you know that delivery drivers can make great tips, especially on holidays? Whether you deliver for a pizza or ethnic restaurant, or even UberEats and DoorDash, you can make some money. Just don’t mind your clothes smelling like food all day. If you fit within a certain demographic, you can absolutely get paid for a few hours of research time. Companies and researchers will assemble a focus group and you can get compensated for it. If it’s a long-term trial for something, you might get a recurring payment. If you’re good at cooking or baking, being a personal chef is lucrative! This is a great weekend side job that will pay its dividends. Start off by catering some school events and then move on to private clients. If you find wealthy clients that like you, word-of-mouth referrals will be through the roof and you will have an easy business. If you don’t mind putting on a pair of gloves and picking up trash, you can make some good money. Parking lots and municipal areas need people to remove the trash from their grounds. It’s one of the simplest businesses out there, but it’s incredibly easy to do. I see Facebook advertisements all the time for companies willing to pay you for donating your plasma. In just an hour or two, the process is complete and they compensate you with gift cards. It’s totally legitimate and you can do it up to 2x a week. This isn’t exactly a business, but if you have the features, you could be high in demand. For couples that need help with conception, you can make money knowing that you helped someone out. Believe it or not, single ladies can make money by being paid for going out on a date. On WhatsYourPrice, the process couldn’t be simpler. Sure, you might not find your forever mate, but with over 2,000,000 members, you can get paid in the meantime. The art of being a disc jockey isn’t dead just yet. If you have a computer with a decent sound system, you can work parties as a DJ. Start by volunteering at your school or for your friends’ parties to get the name out. You don’t need to be booked by an international agency or even have the best features to be a model. Some photographers need everyday people to be featured in the images that they sell to stock phography websites. After you sign a model release form, you’ll get paid. Who knows, you might even see yourself on a Pinterest pin. Online side hustles are the best because you meet so many fantastic people paying their debt off in the process and being amazing parents. They’re truly some of the best people I know. Do you love browsing on Pinterest and pinning until your thumbs are numb? Have you ever thought about getting paid to be on Pinterest? Yes, it’s true you can earn money online by becoming a Pinterest Virtual Assistant. Our friends Gina and Kristen teach an incredible course that walks you through everything you need to know about how to earn money online by becoming a Pinterest VA. They have had many students start making so much money online that they were able to quit their jobs and work full-time from home. You can learn more about their course here. Did you know there is a HUGE demand for small business owners needing help running Facebook ads? This is a big industry that seems to not be slowing down. Our friend Bobby Hoyt over at Millennial Money Man created a Facebook Side Hustle course to show you exactly how you can start making $1k-$2k per month in your spare time. There is no better feeling than getting your first client and delivering for them. This side hustle has HUGE potential! Ever wonder how big companies like The Wall Street Journal, Time, Inc, and others keep up with their articles? And, guess what? You could become one of them. You don’t even have to start with major brands. Start with small businesses looking to add on one contributor. The secret to getting gigs is knowing what topics you should write about. Just like blogging, you need a niche! The best part is that you don’t need any prior writing experience to get started. If you take great photos, you can make money off of selling them to stock photography websites, such as Adobe, Shutterstock, BigStockPhoto, and more. If your photos have people’s faces in them, make sure they sign a model release form so that they consent to being included in the photo. You surrender the copyright in the process, but if you weren’t planning on selling them, to begin with, then you don’t have to worry about anything. Plus, it can be pretty cool to see an image you took on one of your favorite sites or on an Instagrammer’s feed. We’ve got a full list of stock photography websites you can check out to start selling your photos. This is one of my favorite things to talk about because it has literally changed my entire life. Just a few months ago, I quit my 9-5 job to run our blog full-time. Within this short time period, I have been able to grow our blog into a full-time income. When we started our blog, it was just another hobby. We quickly learned that making money from blogging was a real thing! If you’re interested in starting your own blog head over to our step by step tutorial to learn how. Using our exclusive Bluehost link, you can take advantage of discounted pricing today. Are you a creative individual? Online businesses are booming with people who have a unique creative flair and can satisfy a client’s wants and desires. Whether it be Etsy, eBay, or Shopify, you can build a company and make money doing it. Our good friend Sarah Titus made over $300,000 last month with her Shopify store selling printables! You don’t have to reinvent the wheel to be successful. She’s put together the Million Dollar Shop, which is a program that will teach you how to build a 7-figure store on Shopify. Check out all the details right here. We just launched our own Shopify store using her amazing course! You can check out our amazing personal finance printables to get you started down the road of being debt-free. We partner with companies we absolutely love and think our readers would find value from. We mention the company like we did above (Ebates/Ibotta) and we get paid a small commission every time someone signs up. It’s a great way to help other people save money and give us a chance to make some money on our blog. When we first started our blog, we had no idea what affiliate marketing was. After we took the course Making Sense of Affiliate Marketing, we started to earn hundreds of dollars a month online. Even though celebrities get a lot of exposure partnering with big name brands, that doesn’t mean you can’t do it, too! Some influencers have literally built their businesses off of a social platform like Instagram or even on YouTube. The concept is the same. Brands pay you to showcase their products. That’s it! If you’re interested, start by reaching out to smaller brands first before approaching the wealthier ones. Sponsorships can be an entry-level introduction in learning how to earn money online, but some online personas snag sponsorships to the tune of a full-time income. It helps if you already have a platform, such as a blog, so don’t forget about #3. Did you know that consultants can be extremely lucrative? It’s quite a simple process, really. Someone with a problem comes to you to solve it. And, the best part is that they pay prettily for a solution that actually works. Before you get this convoluted idea that every consultant is a top-notch expert in their field, understand that a consultant only has to be more knowledgeable than the client in a specific area. A great benefit of working as a consultant is that you can usually snag a retainer, which means you will be paid for being a resource in case the client as any questions. To really make money as a consultant, you need to niche down and have a clear understanding of who you can help. It will involve some sales calls, but once you get a few clients, word of mouth spreads quickly and you will have quite the business. Sam Ovens has an elite program to get you started as a wildly profitable consultant. He’ll teach you how to earn money online while providing immense value to your clients. This is something we’re working on right now and can’t wait to share with you! An online course is a fantastic way to educate others on a particular topic. It helps if you have a blog to sell it on, but you can start selling an online course strictly through partnering with other people that have loyal followings. Some of our favorite courses are Stupid Simple SEO, Flourish With Facebook Ads, and Six-Figure Blogger. Make sure join The Savvy Couple Community and Blogging With Purpose on Facebook to get all the details for when we launch our course. Many business owners are looking for specialized contractors and you could be the one they choose. If you set up a profile that’s well-keyworded, you might get some inquiries rather quickly. This works for writers, software developers, graphic designers, etc. Anyone with an online service can set up a profile and get started! As more and more people publish books online, there’s a need for people with great voices to narrate them. If you can soundproof a room in your house, you might just find yourself on a best-selling audiobook. Voice acting is a little-known job, but it can be a lucrative side gig, online hustle, part-time or full-time job. Advances in technology have meant that microphones, recording software, and headphones can all be purchased at a reasonable price to create a home studio and kickstart your voice acting career. As a voice actor, you could be voicing TV or radio commercials for the world’s biggest brands, teaching people through e-learning modules, entertaining audiences as a character in an animation or video game, and so much more. Sometimes it takes you being a little creative to start a lucrative money making side hustle. 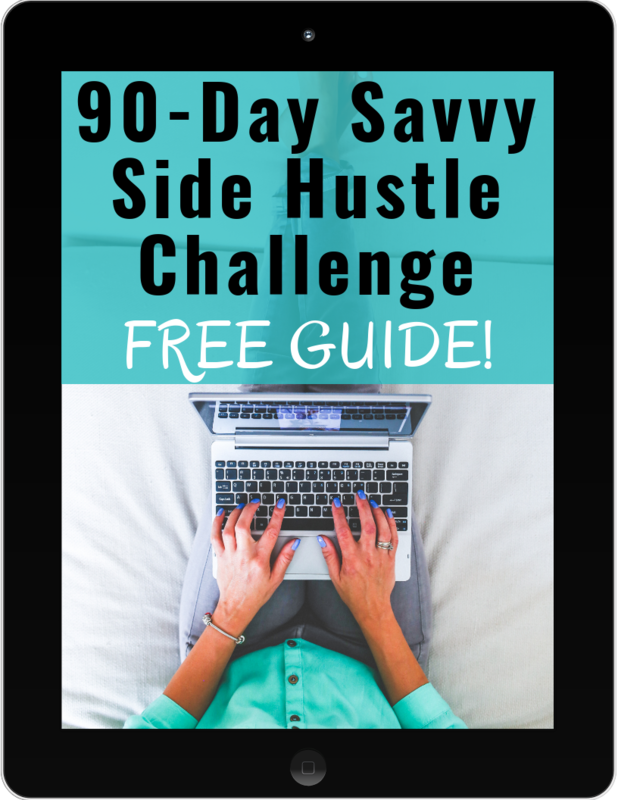 These are not your average side hustles but they can sure make some money! In some states, betting on sports is illegal. It’s extremely difficult to make money betting on sports, just because you never know who will win. But, if you are great at statistics, you might be able to translate that to other side hustle ideas. According to Wrapify, you can earn upwards of $500 a month by putting an advertising “wrap” on your car. Not bad when you think about it. Do the work upfront and simply drive your car like you normally would and get paid. Love doing yoga in the morning? Why not turn it into a side hustle and start teaching a couple classes a week at your local Y. Better yet create your own little yoga business and grow it from the ground up. Obviously, this side hustle takes a little more capital and experience than most but flipping houses can be very lucrative. In fact, this is on our dream list to flip a house and get into real estate. Buy a book and start learning! We have all seen the show storage wars. Why not get your own piece of the pie. If you have a knack for selling things online why not increase your inventory as a discount by going to a storage unit auction? Seriously this side hustle might be my favorite! Have you heard of Swagbucks? They will literally pay you for watching new movie trailers. The best part is you can set it up and minimize your screen in the background to stay productive =). Sign up for Swagbucks now and claim your FREE $5 sign up bonus. Whether you want a passive side hustle or one that will make you work for your money, this list should get you started on your quest for extra money. Remember, extra money can be life-changing and help you pay off your debt. Don’t diminish your accomplishments, just because they aren’t as grand as others’. Every step is a step in the right direction. If you’re a single mom, a college student, or anyone who wants to make easy money, side hustles are the way to go! Did these side hustle ideas give you your next business idea? If so, let us know in the comments and how side hustles are changing your life. My side hustle as an Independent Isagenix Associate has now turned into my full time gig! So grateful! Brian CONGRATS! There is not better feeling that starting to make money on your own terms. What exactly is an “an Independent Isagenix Associate” we would love to know more about it? I love using upwork! They have so much variety and the flexibility is great. Thanks for sharing these great links. Yes upwork is a very powerful tool. This summer when Brittany is off from teaching we plan on hitting upwork hard to earn some extra cash. Glad the list was useful. Great read Brittany, always looking for extra ways to make cash. I just wanted to share something I’ve been doing recently. I run an office and have noticed that unused toner was piling up in storage. Looked into returning but that was no good. Tried out the site https://www.tonerconnect.net/ and was impressed. They had quick service and that payout was nice. usertesting.com isn’t on here? You think out loud while answering some questions that they provide as you browse their website. Your thoughts are recorded and you receive $10 7 days later deposited into your PayPal account. I keep it open in a tab on my computer. It makes an audible ding when one is available. If the environment is quiet and I can stop what I am doing for a few moments to do that, I can make $10. I started teaching online from home and was able to bring in an extra 1,000 a month easily. You need a 4 year degree and there is a bit of time spent at the beginning training/getting hired (10 days or so). Once you are hired you can monetize 25 minute blocks of time and the pay really adds up fast.